Athens, Ga. – Nine students from the University of Georgia’s Grady College of Journalism and Mass Communication will cover the 2016 Paralympic Games, which open Sept. 7 in Rio de Janeiro, for The Associated Press. The students-David Barnes, Jenn Finch, Josh Jones and Casey Sykes (from visual journalism) and Jamie Han, Emily Giambalvo, Emily Greenwood, Kendra Hansey and Kennington Smith (from Grady College’s Sports Media Certificate program)-will be fully credentialed press, producing multimedia content for global distribution by the AP. 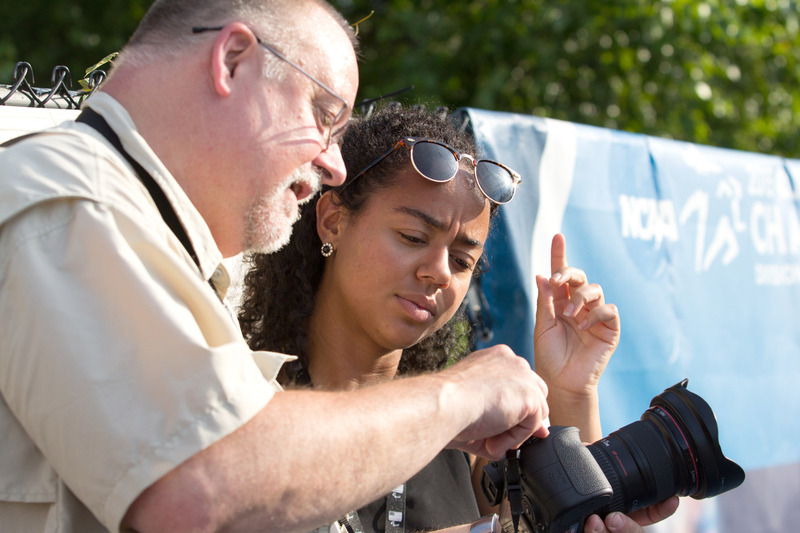 Two Grady College professors, Vicki Michaelis, director of Grady Sports, and Mark Johnson, head of the college’s visual journalism program, will supervise and edit the students’ work in Rio. Michaelis was the lead Olympics reporter for USA TODAY from 2000-2012. She has covered nine Olympic Games. Student David Barnes is looking forward to photographing the Paralympics. “The Paralympics are in a league of their own and will require a level of diligence and efficiency that I have not yet experienced. I’m excited to see how the demands of the job will inspire me to push myself creatively and professionally,” he said. Michaelis also accompanied two Sports Media Certificate students-Nicole Chrzanowski and Jaylon Thompson-at the recent Olympics in Rio. The students wrote stories about U.S. medalists for TeamUSA.org, the U.S. Olympic Committee’s website. For the student coverage of the Paralympic Games, Grady College is collaborating with Penn State’s John Curley Center for Sports Journalism program, directed by John Affleck. Now a professor, Affleck worked at the AP for 22 years, covering two Olympic Games and managing AP’s coverage of major sport events, including the Final Four and college football national title games. The students will be helping to meet an underserved audience demand for coverage of Paralympic sports. The Grady College students will cover the first half of the Sept. 7-18 Rio Paralympic Games and Penn State’s students will cover the second half. To prepare, several of the students covered the Paralympic Team Trials in early July in Charlotte, North Carolina. Coca-Cola is funding a portion of the students’ travel expenses, and ThinkTank Photo donated and Canon USA loaned equipment for the visual journalism students.